The Pre-K, 2 ½ to 5 year old child has an extraordinary capacity to absorb substantial information from his or her surroundings. 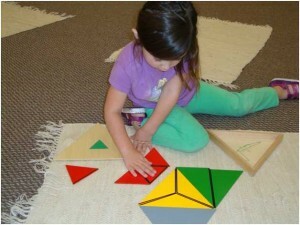 At the Pre-K level, the focus is on developing the building blocks for learning. The well rounded program strengthens the child’s intellectual, cognitive, social, creative and emotional skill set and prepares the students for education beyond MFM. The enriched classroom environment allows the child to work independently and cooperatively, building upon concrete ideas with more abstract principals. The product of this creative, child-centered community is individuals who are self-motivated, confident and academically accelerated. A phonetic pre-reading and writing curriculum encourages students to begin reading books at age three or four. Our teachers track the students’ progress daily and guide them through the progressively challenging materials.